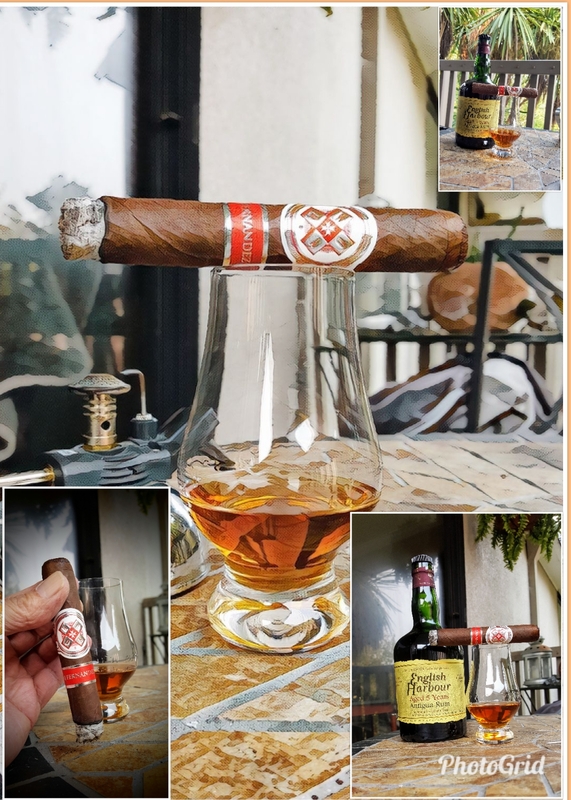 I reviewed the original Hoyo La Amistad (HLA) as a part of a 3 cigar review. In 2017 this new “Silver” version (HLAS) appeared so I decided to try it. 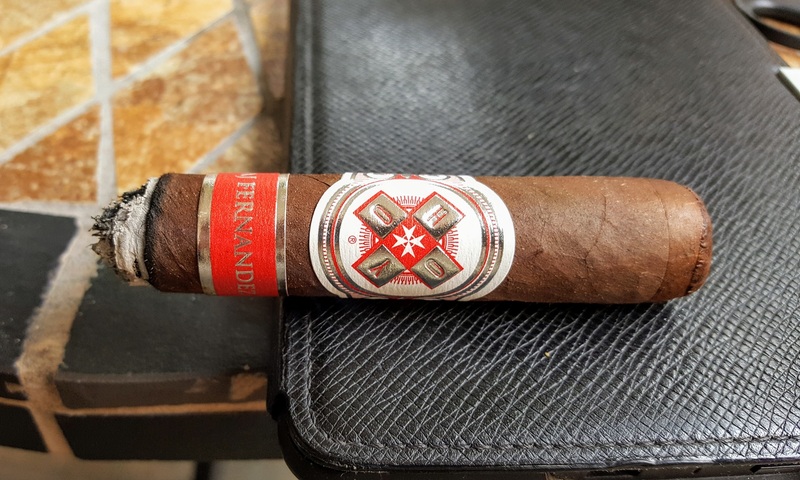 The blend uses the same Ecuadorian Habano wrapper and this time binders and fillers, all Cuban seed, from the AJF farms in Esteli and Condega Nicaragua. If this is true, the HLAS blend leaves out the Ometepe and Jalapa leaf found in the HLA. 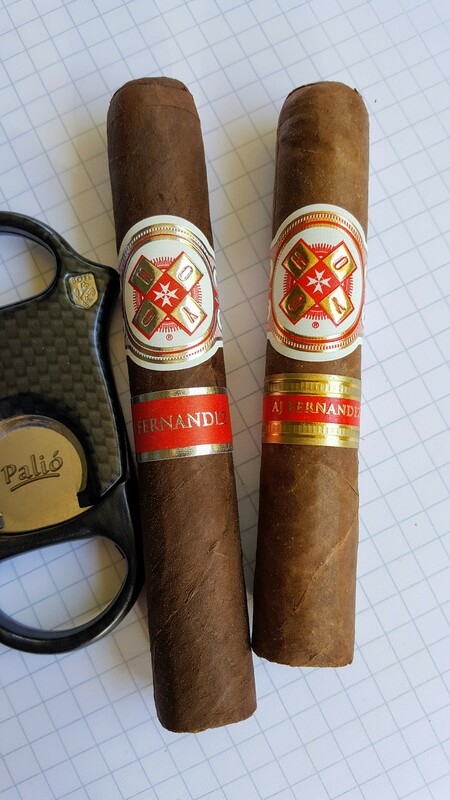 I bought the Robusto size in both cigars. As you can see from the pictures, they are a little different. At first glance the labels are pretty close, but if you look at the big picture above (the HLAS is on the left) you can see that there is a little less red, and more silver in the HLAS label. When the HLA came out in 2016 they cost between $6 and $8 per stick (single). At the moment, Cigar International is selling the HLA (box) for $3.75/stick while the HLAS (box) is $4.20, both very good prices for an AJF cigar. The HLAS robusto has the same ring gage as the HLA (I measure it to 52). The HLA measures out to 4.75″ long while the HLAS is 5.25″. 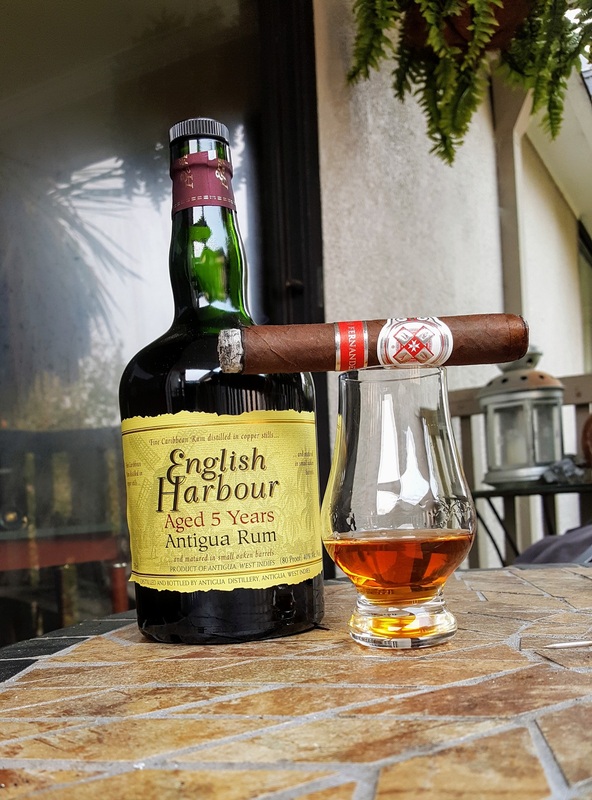 For the extra $0.45 you get a longer cigar! Like the HLA, construction on the HLAS is superb. Caps are nicely done, the wrapper is a beautiful medium brown, no veins, tight seams. The HLAS is a little more densely packed than the HLA. I have smoked a whole box of the HLA and a few of the HLAS. I have yet to have one crack, split, burn funky, or draw poorly. The draw on the HLAS is a little tighter than the HLA, but still comfortably easy. Smoke production on the HLAS is great too. The cold smells are different. The HLA has almost no smell at all, very light (see description at link above), but the HLAS is richer, barnyard and fresh oat hay. Flavors in the smoke are not all that different. Some pepper here but not a lot, floral, nut, earth, and cedar like the HLA. There is a little more sweetness in the HLAS compared to the HLA, but all the flavors remain very light just as they did in the HLA. Flavors last a bit longer in the HLAS, down to the last inch or better. In the HLA they were gone at that point. Perhaps for this reason (and it’s a bigger cigar by a half inch) it seems stronger. The HLA ended as a medium, but the HLAS is more medium full.